RwandAir adds a 4th weekly service to South Sudan. According to Amadeus (21 JULY 2014) RwandAir added a 4th weekly service to Juba. Update on 19 August 2015. From 22 August 2015 till 30 April 2016, RwandAir will reduce flights to Juba, due to works at the Airport. No flights, on Saturdays and on Sundays. Flight time : from 1h20 to 1h40. According to Amadeus (08 MAY 2014) RwandAir has made some modifications on its service to Juba. The airline still flying 3 times a week, but monday service is now operated each sunday. 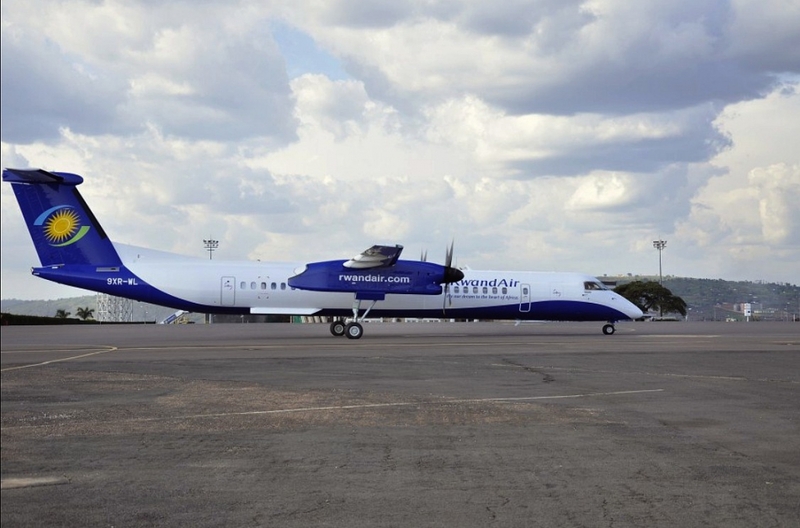 Morover, RwandAir has deployed its new Dash Q400NG. According to Amadeus (29 NOV 2013), RwandAir plans to add a 4th weekly flight to Juba, operated every sunday, from 30 March 2014. According to Amadeus (29 AUG 2013) and confirmed by Airlineroutes, flights will start from 21 September 2013, with a new timetables. According to Amadeus (22 AUG 2013), bookings are closed. Flights have disappeared from Bookings websites. No more infos, for the moment, stay tunned. According to Wolfgangthome's blog RwandAir will fly to Juba, three times a week, with a CRJ-900NG, from 03 September. The current politic situation. The president of South Sudan fires all its cabinet. According to Amadeus (02 AUG 2013), bookings are opened, from 03 SEP 2013. Passengers having a tickets for the August month must contact RwandAir. According to ETW RwandAir will fly to Juba, three times a week, with a CRJ-900NG, from 01 August. 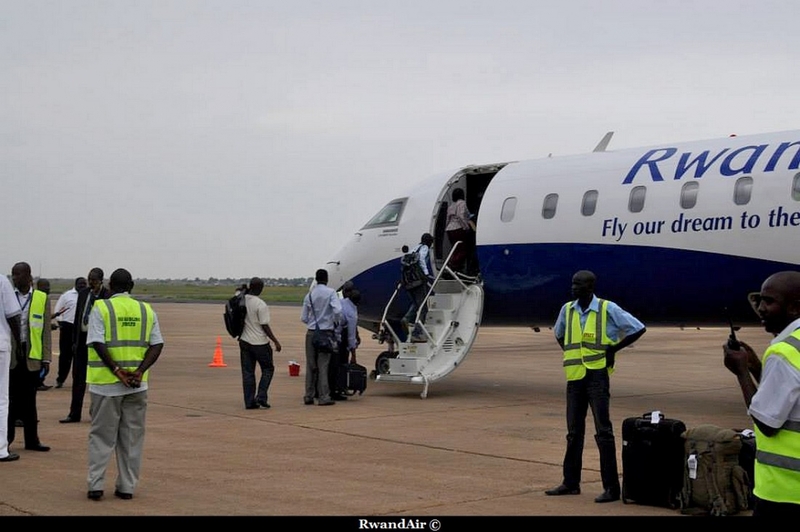 According to Amadeus (26 JUNE 2013), RwandAir will fly to Juba, three times a week, from 26 JULY instead of 01 JULY. No changements about timetables and the aircraft that will be used on the route. According to Amadeus (24 APR 2013), from 01 JUL 2013, RwandAir will fly to Juba, three times a week, with a CRJ-900NG.